Going Up? | Just Shooting Memories! I haven’t the slightest clue what the name of this building is. 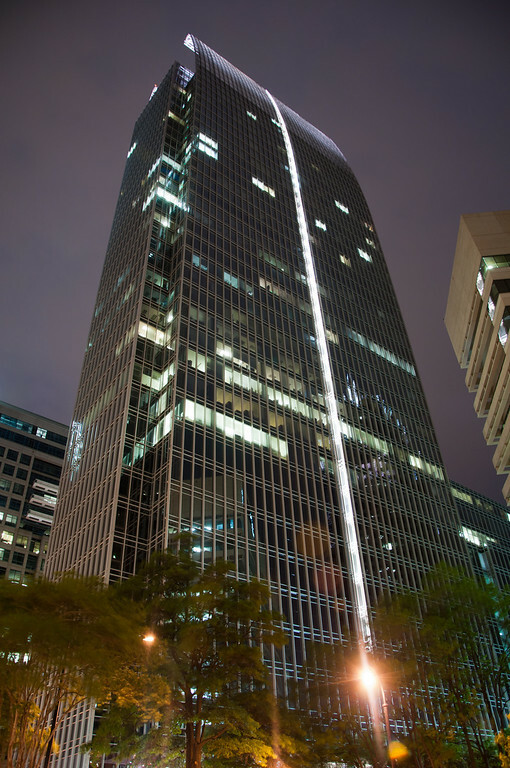 It is located near the intersection of 14th street and Peachtree Street in Midtown Atlanta. I thought the light running straight up the building was neat. I was able to get one of the street lights in the right position that it looks as if something is about to shoot out the top. I saw this and thought of many Star Trek inspired names for it.